This entry was posted in MindBodySpirt and tagged Actions, Body, Choices, don Miguel Ruiz, Energy, Energy level, Exercise, feeling, Focus, four agreements, Happy, Health, Healthy, healthy-living, Inspiration, Law of Attraction, Love, mental resistance, mental-health, Mind Body Spirit, physical balance, Physical exercise, The Four Agreements, TLC, Weight Loss, wellness, Workout by Goss Coaching. Bookmark the permalink. Thanks for this post. I’m really enjoying your blog! 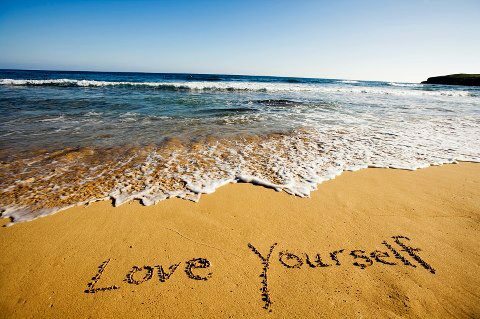 Love your amazing example! Congratulations on coming through brain surgery and using that as a tool to listen to your body. Much appreciation for you and your sharing your experience! And for reading! Thank you! Thanks so much! So appreciate you! Thank you so much, Gina! I can’t tell you how meaningful it is to me to hear that a post was perfect timing and helpful! So appreciate you! Thanks for reading and commenting! Thanks, Renee! So appreciate you and your comments. 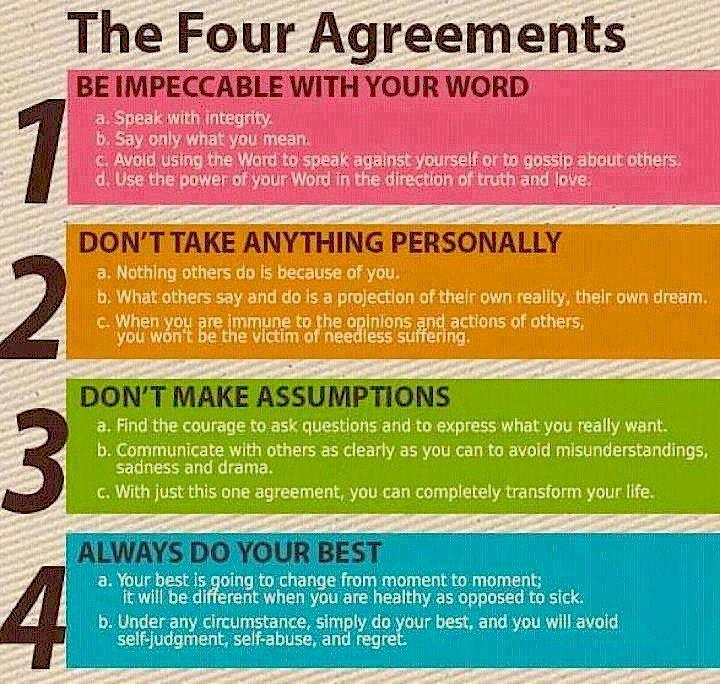 Loved the 4 agreements. The most vauable take-away from these is No. 2. Too much time gets spent on brooding on what the other guy said and did, how it has “effected” us. We tend to forget that it always remains our choice to allow all this to do so. As we shift our perspective to the understanding that all that is being said and done is really about the othere guy, his insecurities and compulsions, and nothing to do with us, we gain freedom from these dis-empowering thoughts and beliefs. Thanks so much, Brook! Appreciate you!